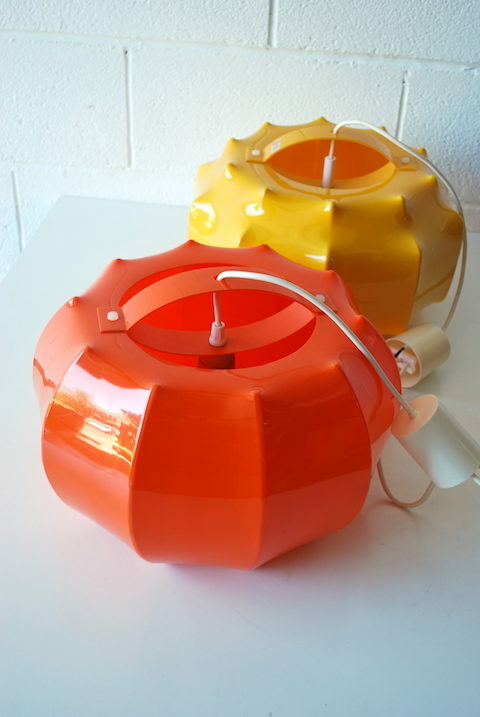 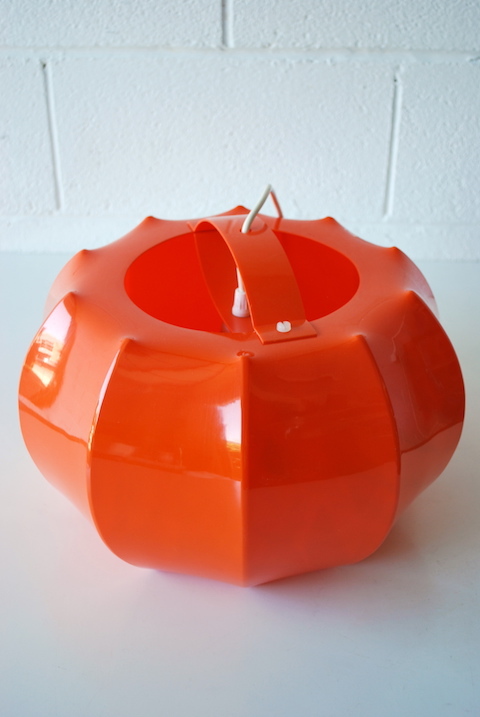 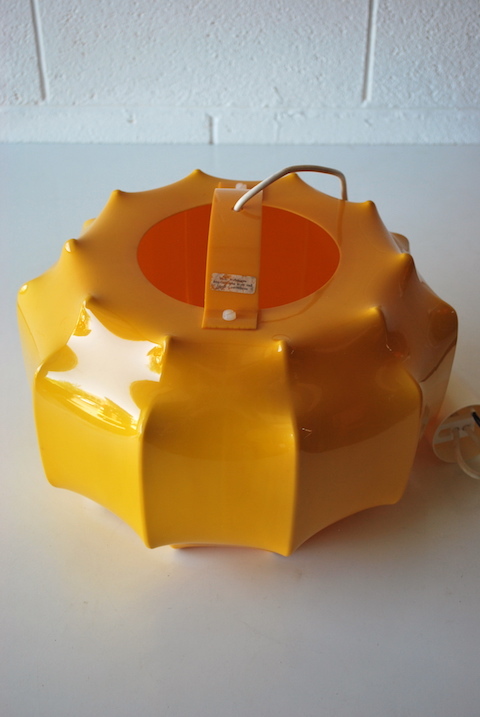 A lovely pair of 1970s plastic light shades. 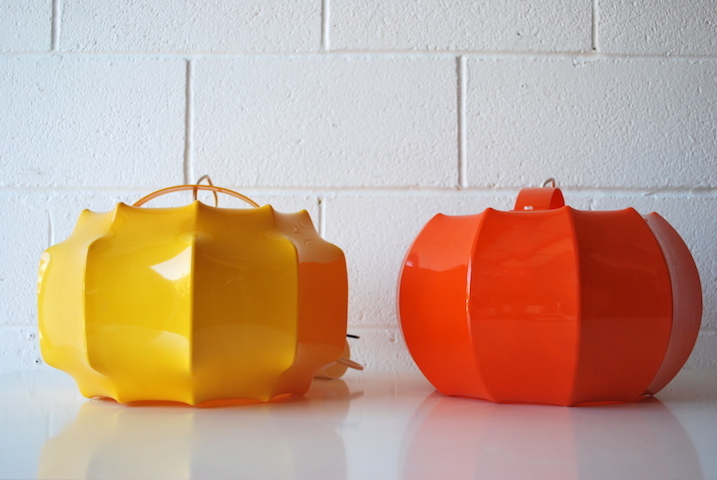 In yellow and orange. 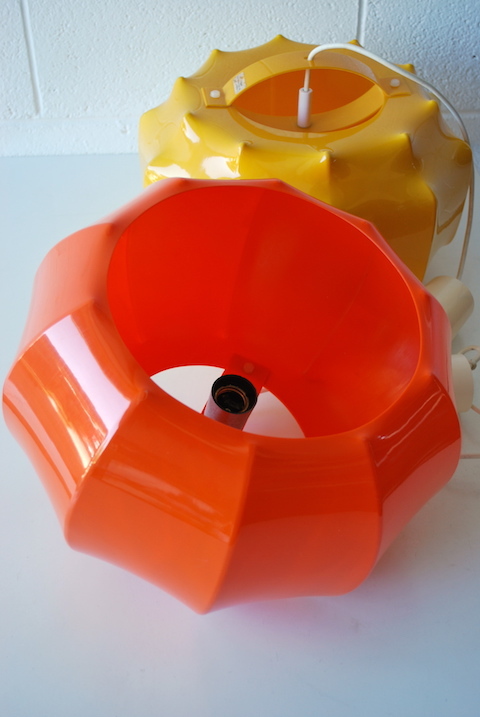 In good vintage condition with minimal wear.